Best-in-class efficiency produces substantial energy savings (10-40%) relative to positive displacement and multi-stage centrifugal blowers. Inovair uses a proven design without exotic electronic components, for improved durability and lower equipment cost. This includes industry standard VFD’s, electric motors and PLC’s in the blower cabinet, and non-contact oil-film bearings and a robust integrally geared design for Inovair head units. 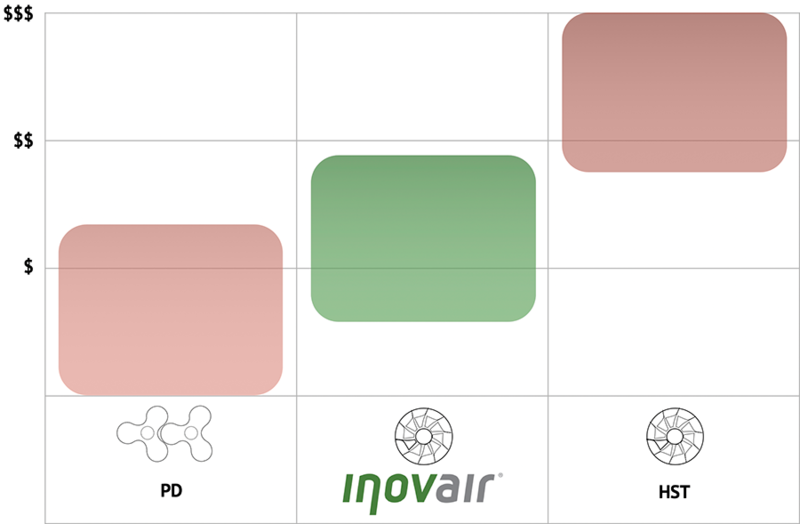 With this approach, Inovair makes high efficiency not only affordable, but also more reliable. Inovair’s flexible design also frequently allows for re-use of existing electric motors and VFD’s if desired. Inovair blowers are built without the electrical component complexity seen in other high-speed turbo blowers. Instead, a simpler design using industry standard components allows for easy maintenance at the plant level, as well as greater reliability. Owners of air bearing turbos are finding out that annual maintenance and/or warranty costs can reduce or exceed their annual energy savings. 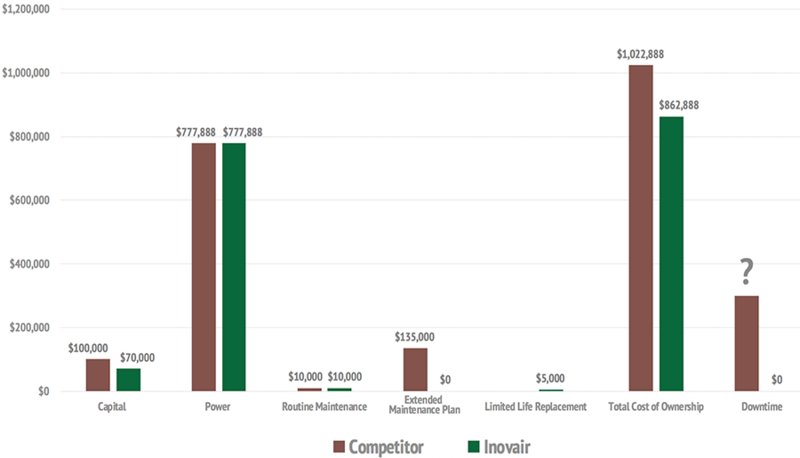 Inovair’s proven design allows for high efficiency, reliability and ease of maintenance. 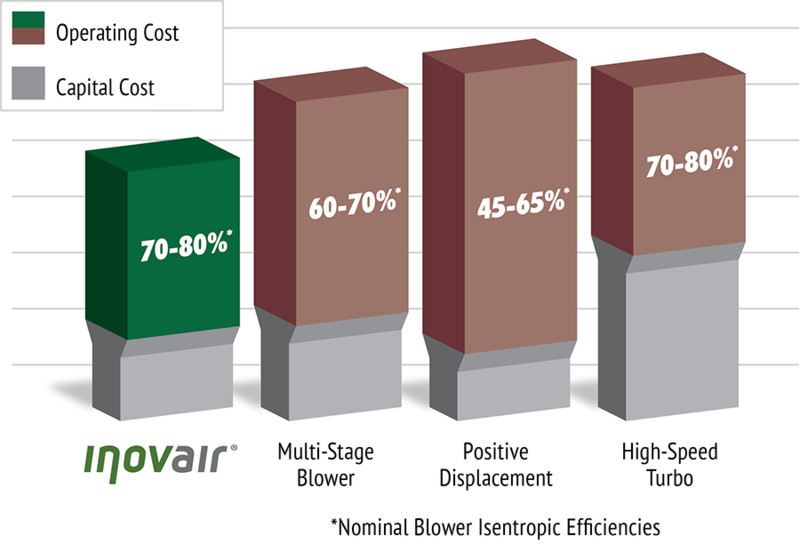 Inovair blowers are also more reliable than PD blowers and only have an annual maintenance interval. 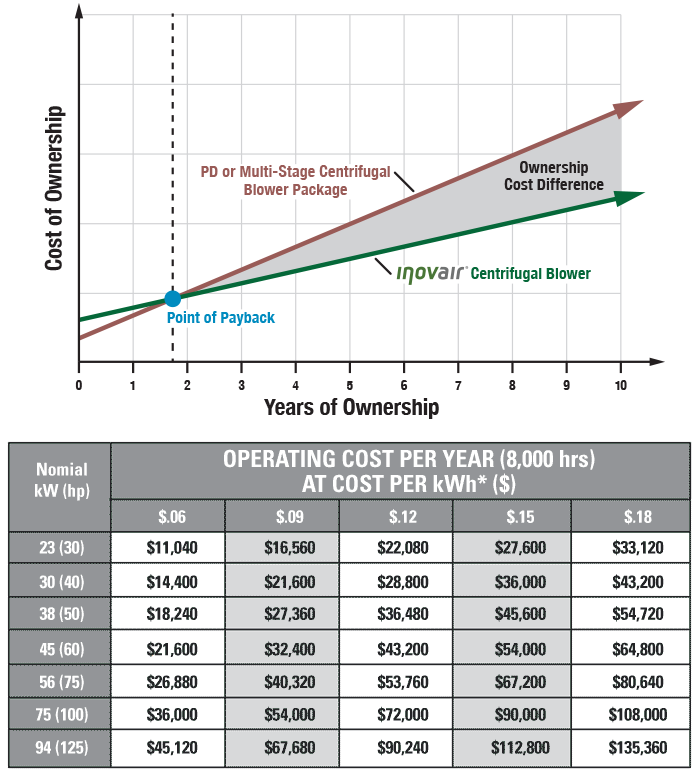 Inovair blower packages operate with a much lower dBa level than traditional PD blowers, allowing placement outside of blower rooms. This noise profile, together with novair’s highly durable design, also allows for outdoor placement even when located near residential areas. This can blower installation cost. Inovair’s flexible design also allows for re-use of existing components and infrastructure in many instances, which can also lower installation cost.